Waking up healthy every morning is such a blessing, yet most of us probably don’t really fully grasp just how much of a blessing it is. We just get up and get on with our day. For those living with Cystic Fibrosis it’s another story. Every day they have to fight to keep their health and they have to fit in their treatments into what might be a busy day for them and just like you and I might have a busy day, CF’ers have to fit in so much more just to stay healthy. A person with Cystic Fibrosis has to do physiotherapy every day of their lives to ensure their lungs are cleared of the sticky mucus build-up. They need to take their meds, do their thing on nebulizer, have physiotherapy and a person with CF has to take numerous pills each time they eat. Growing up with my best friend, Emma alongside we would go to school together and then spend the afternoons together and naturally weekends too. We were always together. Our time together always included her treatments in the afternoon so we would sit in her room as she sat on her nebulizer, an inhalant machine, which helps with the treatment of airway blockage due to mucus build-up. Still to this day I can remember the smell of the medicine that pumped out of her machine. It was something I could never get used it. It had an odd smell, a medical smell. I really hope with today’s advancements they have at least done something to make the smell more pleasing to the nose. Just typing this brings that smell back to me as if Emma is the room with me doing her meds on her nebulizer. These things weren’t something that was unusual in our friendship, it was just something she had to do and we always just incorporated it in our time spent together. Emma also had to do chest physiotherapy (PT) which at the time was done manually. Now, a mechanical vest is available (at a high cost) to do this therapy for those lucky enough to afford one. The PT is repeated over different parts of the chest and back to loosen the mucus in different areas of the lung. These treatments that Emma had to have was just a part of her life, it didn’t disrupt our friendship and it wasn’t something that seemed out of the ordinary because I was used to her doing it and for Emma, it was just a way of life for her. She knew nothing different. One thing though that always amazed me was the number of pills Emma could swallow all at once, it was literally a handful of pills she popped, always without even the blink of an eye, all at one go! I struggled to swallow one tablet at a time, but my best friend, wow she was master of swallowing pills. She really was my hero! Every time she ate, she had to take these tablets, even if it was just a slice of toast we were having. When you and I have a meal, we don’t even think about it we just start eating. 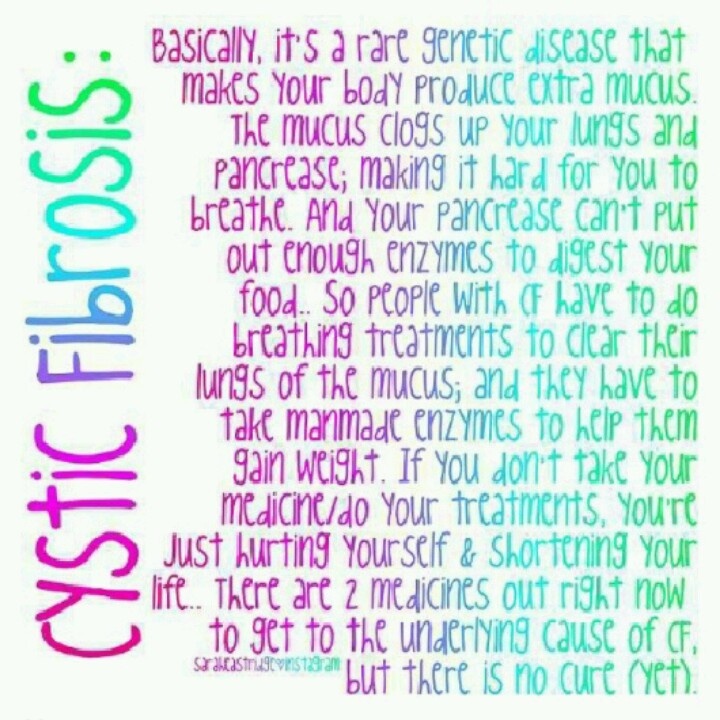 Someone with Cystic Fibrosis can’t just do that. They need these pills which help aid digestion. Below is an amazing video by Sophia Cerniglia who also has Cystic Fibrosis. The video is under 4 minutes but is powerful in showing you people who have CF and what people with CF have to do and deal with every single day of their lives. Their amazing courage to do what needs to be done. 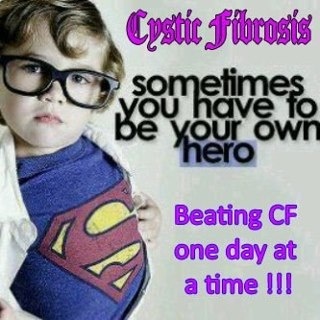 It is an amazing video to keep spreading the awareness about what Cystic Fibrosis is all about. Most people have never heard of Cystic Fibrosis, and those who have might not realise just what a person living with CF has to do daily to clear their airways to keep their lungs as healthy as possible – to just be able to breathe. 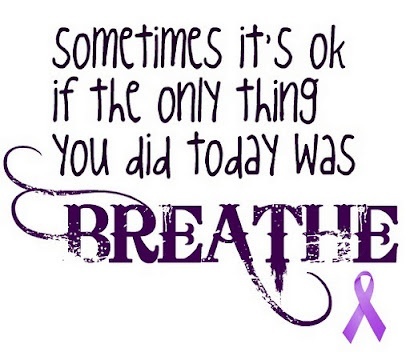 It’s a daily fight that CF’ers courageously face every single day. Life for you and me is easy in comparison. It is for all these reasons I will always be Walking4Air. So that one all those with Cystic Fibrosis can Breathe Easy. And I will always do it in memory of my best friend, Emma who through it all showed me how to live. Another great article, Lara, thank you. My friend who posts these all on face-book is keeping them lined up to post…so keep them coming…. Awesome! :) I always come across things like this video as I follow many of the CF communities around the world. It’s great for spreading more awareness.